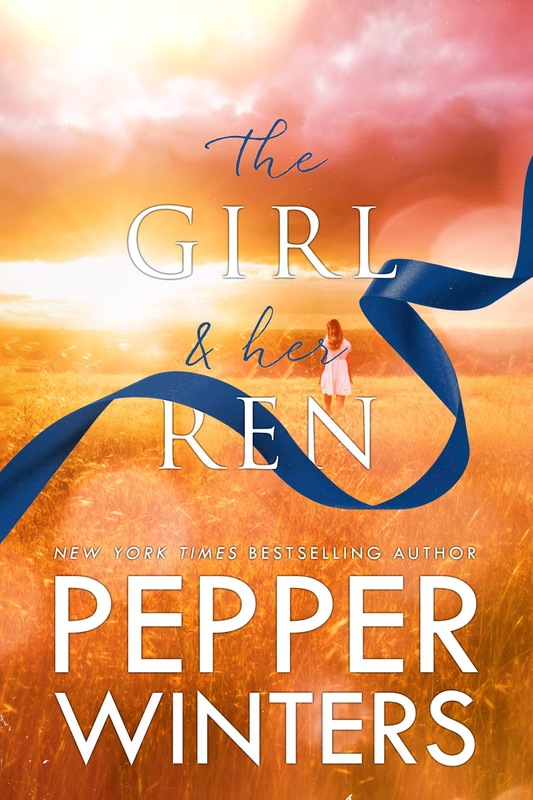 Check out my spoiler-free review of The Girl and Her Ren by Pepper Winters. Enter my Pepper's release celebration gift card giveaway on my Facebook page or Facebook group Kindle Crack Book Reviews Daily Fix! Synopsis: “What do you do when you write down all your secrets? No…that’s not enough. What do you do when you write down all your secrets and the one person who should never read them does? This book!!!! It’s taken me so long to finish. You're probably wondering why I sound like I'm complaining. It wasn’t because it was long (it’s 529 pages). It wasn’t the length that hindered my reading speed. I had to stop along the way and recalibrate my heart from all of the emotions I felt. Pepper added a warning note though Della. "We are given a choice to continue on the Ren and Della’s journey or stop at a particular point in the story. " How could I not go on? As a reviewer, I’m at a loss for words. I imagine this book sucked the life out of Pepper to write. I know what it did to me as a reader. She should be proud of this book. This two-book series will go down on my All-Time Best Kindle Crack list. I can’t write a review that will do justice for this book. My heart is shredded and I’m emotionally spent in the best possible way. I feel like I’m going to sound like one of my favorite book memes. It describes my feelings on this book. me: This book brutally ripped out my heart and tore it to shreds and then stomped it into the ground as I drowned in a sea of my tears and basked in enteral sorrow. This review appears on https://www.kindlecrack.net , http://www.facebook.com/kindlecrack , Goodreads, Amazon, Pinterest, and Twitter. A review copy of this book was kindly provided by the author in exchange for an honest review.